An experimental “Trojan-horse” cancer therapy has completely eliminated prostate cancer in experiments on mice, according to UK researchers. The team hid cancer killing viruses inside the immune system in order to sneak them into a tumour. Once inside, a study in the journal Cancer Research showed, tens of thousands of viruses were released to kill the cancerous cells. Experts labelled the study “exciting,” but human tests are still needed. Using viruses to destroy rapidly growing tumours is an emerging field in cancer therapy, however one of the challenges is getting the viruses deep inside the tumour where they can do the damage. “There’s a problem with getting enough virus into the tumour,” Prof Claire Lewis from the University of Sheffield told the BBC. She leads a team which uses white blood cells as ‘Trojan horses’ to deliver the viral punch. After chemotherapy or radiotherapy is used to treat cancer, there is damage to the tissue. This causes a surge in white blood cells, which swamp the area to help repair the damage. “We’re surfing that wave to get as many white blood cells to deliver tumour-busting viruses into the heart of a tumour,” said Prof Lewis. Her team takes blood samples and extract macrophages, a part of the immune system which normally attacks foreign invaders. These are mixed with a virus which, just like HIV, avoids being attacked and instead becomes a passenger in the white blood cell. 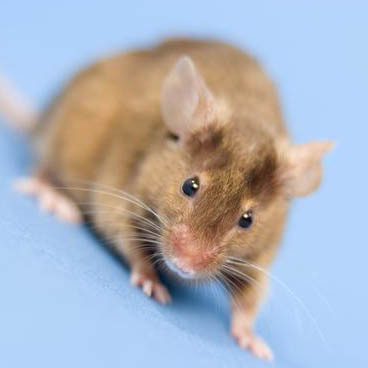 In the study, the mice were injected with the white blood cells two days after a course of chemotherapy ended. At this stage each white blood cell contained just a couple of viruses. However, once the macrophages enter the tumour the virus can replicate. After about 12 hours the white blood cells burst and eject up to 10,000 viruses each – which go on to infect, and kill, the cancerous cells. At the end of the 40-day study, all the mice who were given the Trojan treatment were still alive and had no signs of tumours. By comparison, mice given other treatments died and their cancer had spread. She said it was a “ground-breaking” concept, but cautioned that many remarkable advances in treating mice failed to have any effect in people. She hopes to begin human trials next year. Dr Emma Smith, from Cancer Research UK, said: “Harnessing the body’s own immune system to deliver a deadly virus to tumours is an exciting approach that many scientists are pursuing. “This study shows it has the potential to make chemotherapy and radiotherapy more effective weapons against cancer. She said the research was still at an early stage and tests to show it is safe and effective in humans are still needed. Dr Kate Holmes, head of research at Prostate Cancer UK, said: “It demonstrates that this innovative method of delivering a tumour-killing virus direct to the cancer site is successful at reducing the development of advanced prostate tumours in mice which have been treated with chemotherapy and radiotherapy. Firstly, I would like to say a BIG thank you to all who have supported me on my year without beer.